Global Information The Syrian Rebels Are On Their Own. No Outside Power Will Come To Their Aid. In Syria politicians are taking step and organising the military to keep tabs on everything that is happening. Syrian soil is on step closer to a resolution thanks to Bashir. Syrian forces and the reduction of Syrian rebels. Damascus has extended the conflict by firing into Turkey and Lebanon and killing civilians there. Ankara is outraged and has threatened to take action. Bashar knows that Turkey has no intention of sending in its army. Conflict in Syria could lead to a confrontation with Iran. 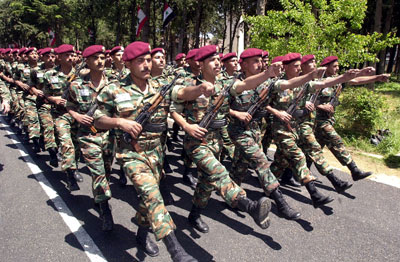 Lebanon has no army to threaten Syrian military. The key thing to understand is Read more. Find out more about Syrian Military steps and Martin McCauley over on Stirring Trouble Internationally.